I started listening to Paul Bley in the sixties and never heard of this until a big money eBay listing appeared a few years back. I finally located a seller in Montreal with a reasonably priced copy, which arrived at my address broken in half. 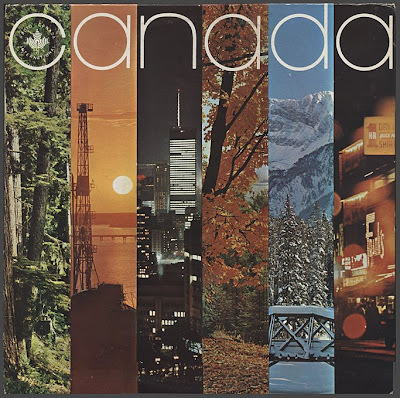 Eventually another one turned up, with a Peter Dunn Vinyl Museum Toronto inner sleeve. Bley seems a little more intense than usual here, the muscular rhythm section keeping him on the move. In the coming months, Bley would unleash his controversial (+/- Annette Peacock) Synthesizer Show. 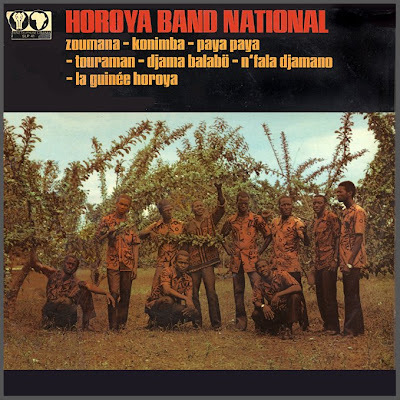 Here's another national orchestra from Guinea's golden age of authenticité. Horoya, from Kankan, were not as prolific as comrades Bembeya Jazz, Balla et ses Balladins, Keletigui et ses Tambourinis and Super Boiro. This was their only full-length Syliphone LP, although the label did release nine Horoya Band 45s, including a five-single sequence (SYL 557-561) from early 1974. Available where?? 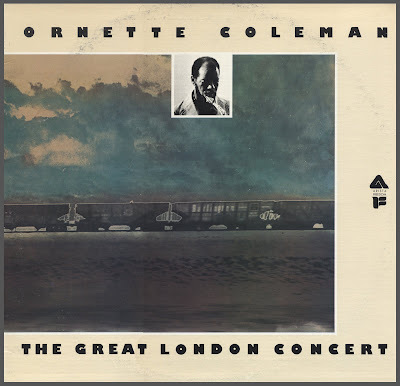 Ornette Coleman arrived in London in August 1965 as a tourist, for he was far too dubious a commercial proposition for any British promoter to risk engaging his trio. However Coleman did want to appear in public, so he simply became his own promoter; he persuaded me to organize a concert for him, and financed the whole operation himself. Within three weeks of his arrival, his European premiere had given him his first taste of unqualified acclaim from listeners and reviewers; the impact was so profound that Coleman was elected "Musician of the Year" and Izenzon "New Star of the Year" in the 1965 Melody Maker Critics' Poll (their first-ever poll victory) on the strength of just the one solitary performance, and later the Melody Maker remarked that, "The concert has already assumed almost legendary status". Scheduled for US release on the short-lived Arista/Freedom imprint in 1975, legal threats resulted in its cancellation after promotional copies had been sent out, banishing this historic document to obscurity in Coleman's homeland. Released on International Polydor as An Evening With Ornette Coleman and on Freedom and Black Lion as Ornette Coleman In Europe Vol. 1 and Vol. 2, it seems to have successfully eluded many fans there as well.